The Society has a library of over 1100 books held at the Royal Botanic Gardens, Kew. Development of the Library has depended largely on the generosity of members. Many offers of books and monographs, particularly important taxonomic works, and gifts of money to purchase items, are gratefully acknowledged. At the present moment the Society is looking to appointment a new librarian and until such time the books will only be available to personal callers to Kew. It is not possible to post books at the current time. No more than two volumes may be borrowed at one time, for a period of up to one month, by which time books must be returned or the loan renewed. The borrower will be held liable for the cost of replacement of books that are lost or not returned. Non-members may be able to borrow books at the discretion of the Librarian, but all postage costs must be paid by the borrower. Certain very valuable and/or large books are unsuitable for postal loan but may be consulted at the discretion of the Librarian. Requests for periodicals should mention the particular paper required, as it may then be possible to send the appro­priate part of an unbound periodical, a reprint or a photocopy. A small charge will be made to cover the photocopying service. If members wish to consult the library personally, they should first contact the Librarian. A list of the books and journals in the library is available to download. 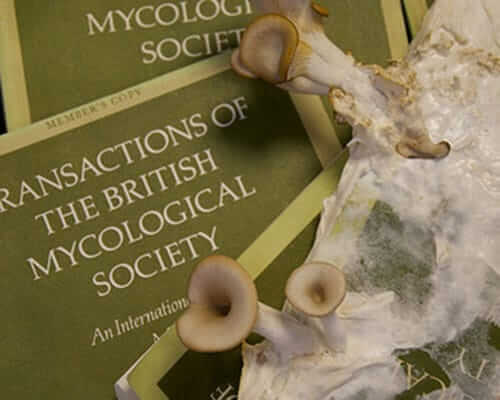 Cheques should be made payable to British Mycological Society.